Our staff are committed to making your child’s experience the best it can be. 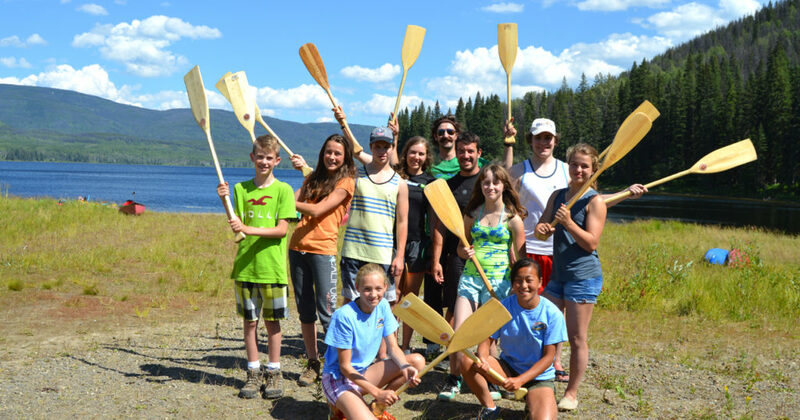 A week at BC Family French Camp is just the thing to bridge the break between June and September. 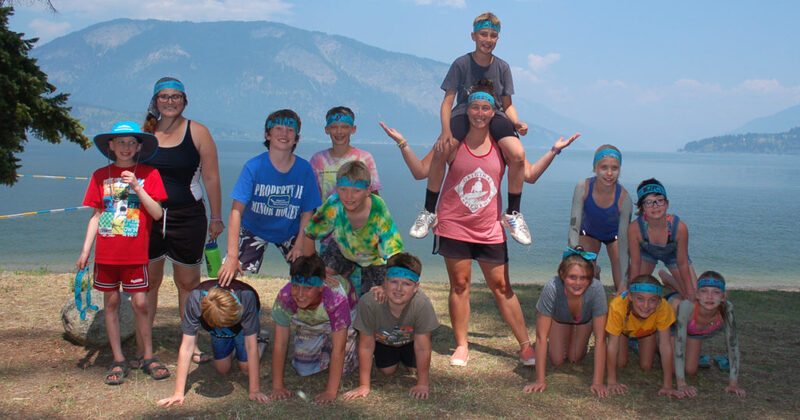 BC Family French Camp is unique because it is for the whole family. 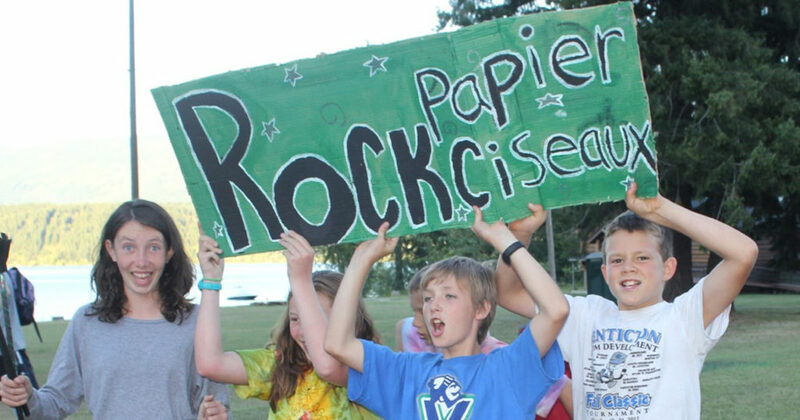 You have your own campsite, and are surrounded by other BC Family French Camp families. You can bring other children if their names are included on your original application and as long as you supervise them during non-program hours. 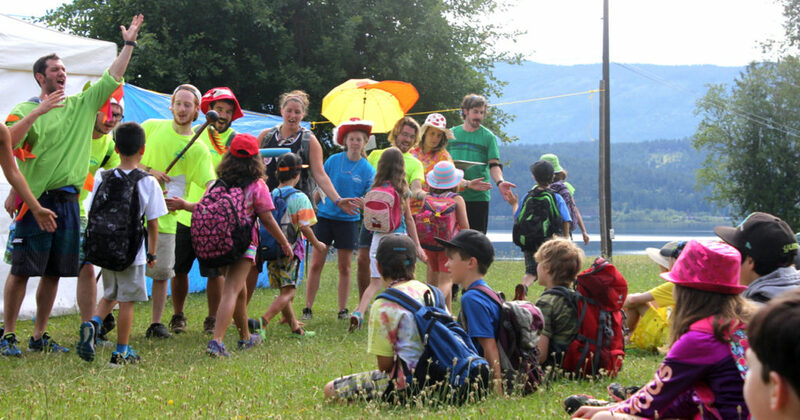 Though parents are not required to speak French at camp, children are required to speak French at all times during program hours. 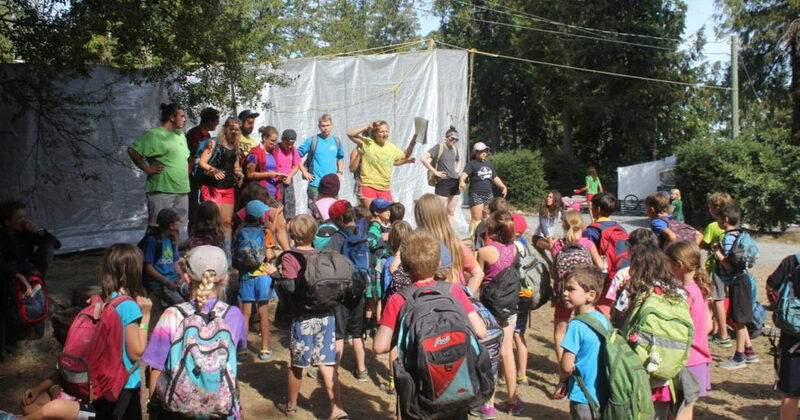 Daily at 9 a.m., the families gather with the camp community for brief announcements. 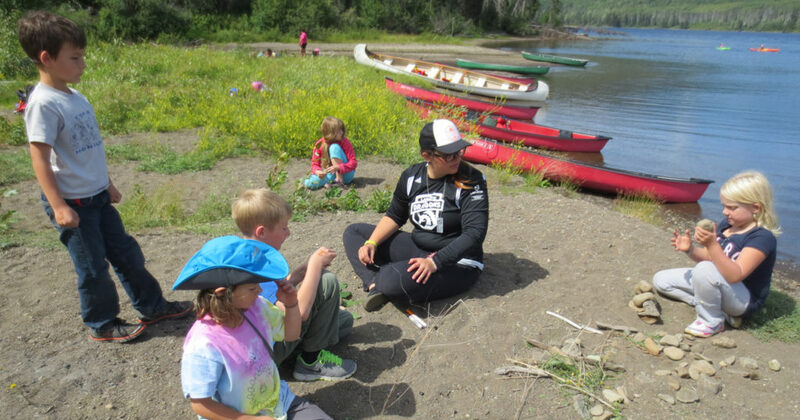 Children should be prepared daily, bringing along with them a backpack, a snack, water, sunscreen and a hat. 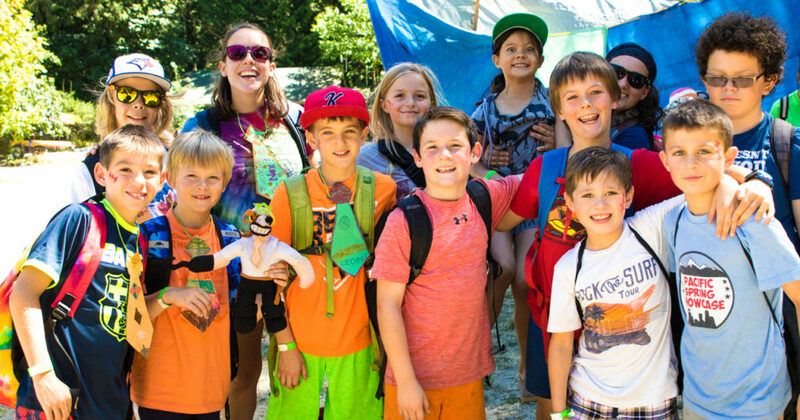 Your children join their groups for the morning, return to your campsite for an extended lunch, and rejoin their group until 4 p.m. In the evening, the camp community regroups for campfires or night games. 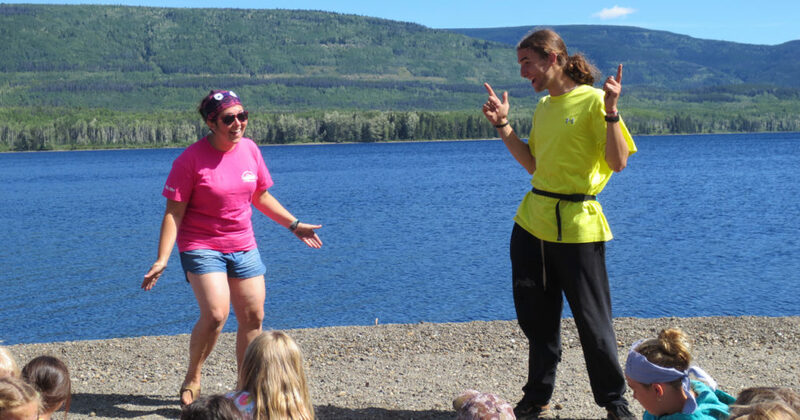 The Moniteurs and all family members participate in songs, skits, and general hilarity. 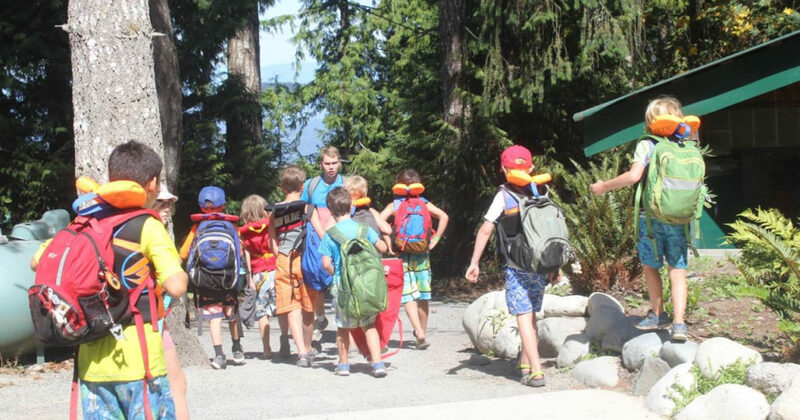 You are responsible for supervising your children around the campground at all times when they are not in program with their Moniteur and on the mid-week break (Wednesday). 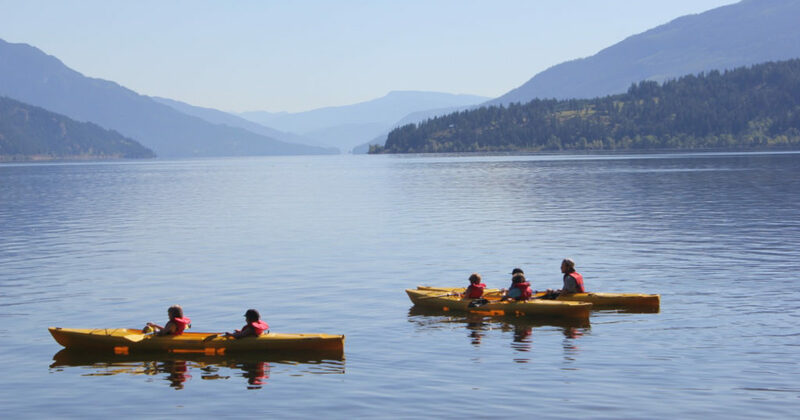 Your children enjoy outdoor activities at the campground and in the surrounding area. 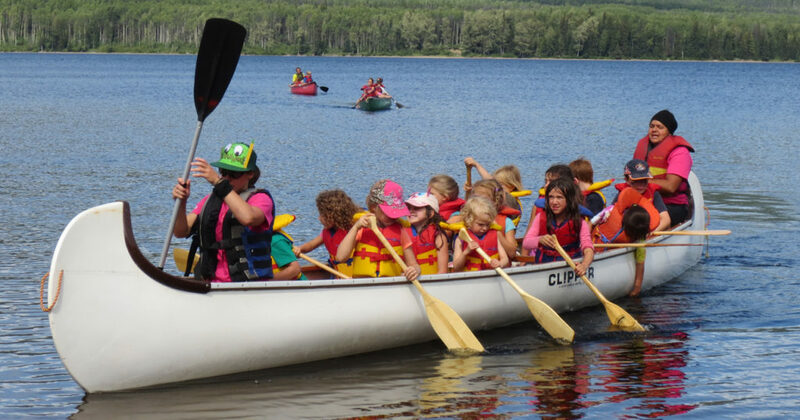 Depending on the site, these activities can include swimming and water play, canoeing, kayaking, hiking, nature study, orienteering, archery, singing, games, decorating T-shirts, arts and crafts, and a sleep out under the stars (weather permitting!). The Pre-Kindergarten program is available for children going into French Immersion or Programme Cadre Kindergarten immediately after summer. 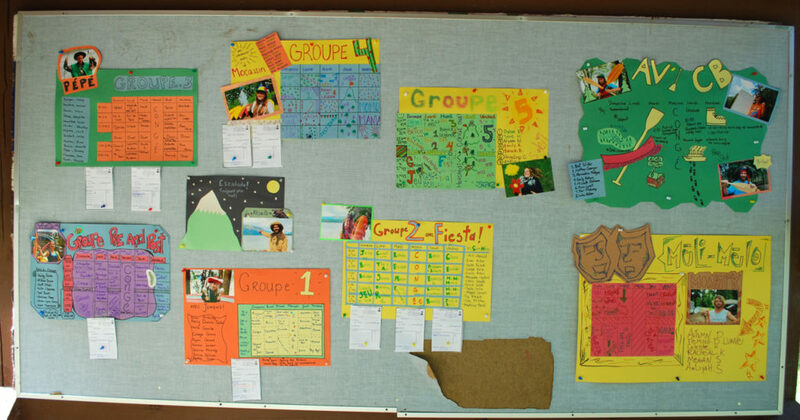 Our Regular Program is available for children having completed French Immersion or Programme Cadre Kindergarten through grade 6 before summer. 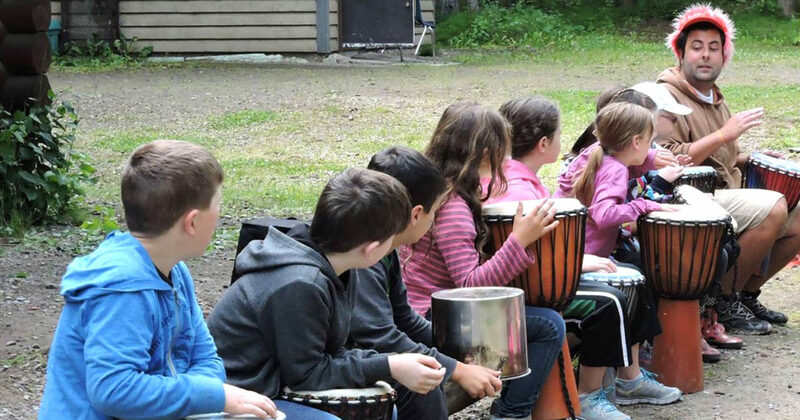 Children having completed French Immersion or Programme Cadre grade 7 before the summer have the opportunity to register in one of our teen programs. Teens will note a variety of options below depending on their grade level and area of interest. 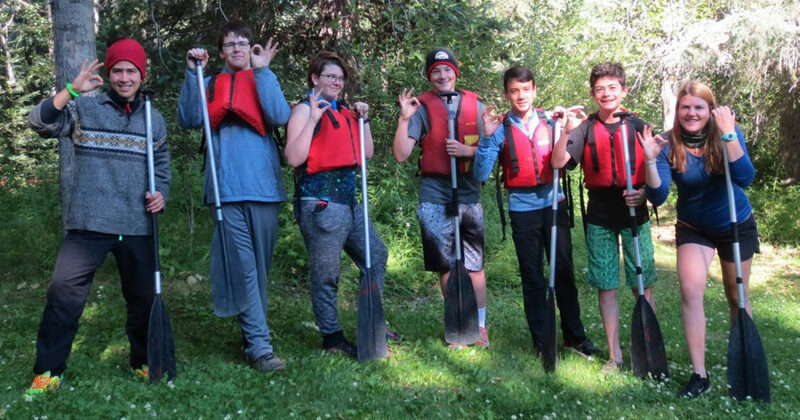 Teens can join Les Aventuriers (must have completed grades 7 or 8 before summer) or Les Coureurs des Bois (must have completed grade 9 or up before summer) for overnight hiking, biking, or canoe trips. Or they can join Le Groupe Méli-Mélo (must have completed grade 7 or up before summer) for games, skits and artistic adventure. 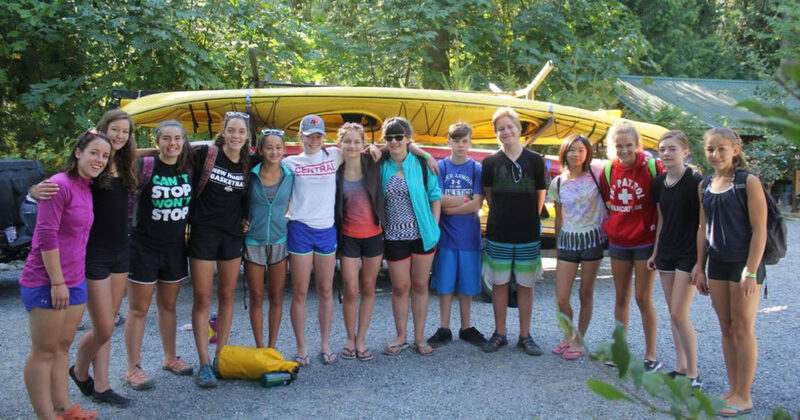 For our older campers (must have completed grade 10 or up before summer), we now offer the Formation des Leaders Adolescent (F.L.A.) exclusively at the Vancouver Island camp. F.L.A. will be offered each year. 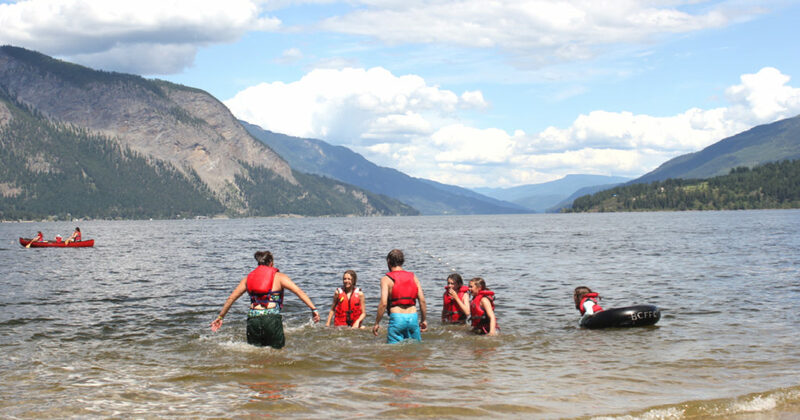 Note to teens and parents: Choose your program carefully because once you arrive at camp, you cannot change your mind! Note to parents: Parents are expected to lend a hand, from grocery shopping to transportation. 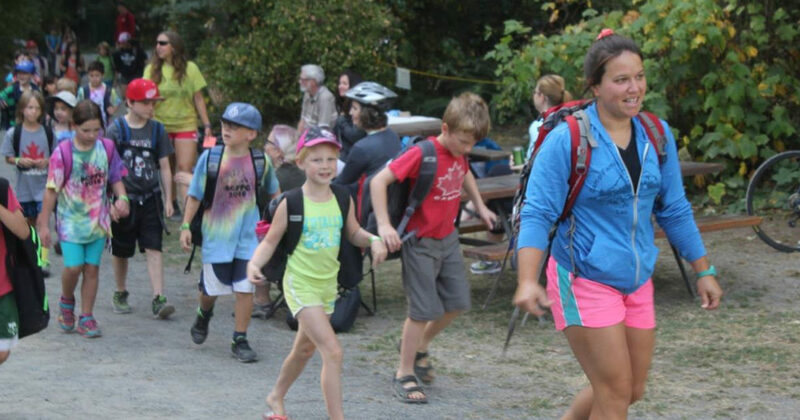 For example, for most outings, counselors, teens, gear, bikes, and canoes (we have a trailer for these) must be transported to and from the campsite by parents. If you are registering your teen for any of these groups, please be prepared to get involved! Note: All programs offered may not be exactly as specified on this website. 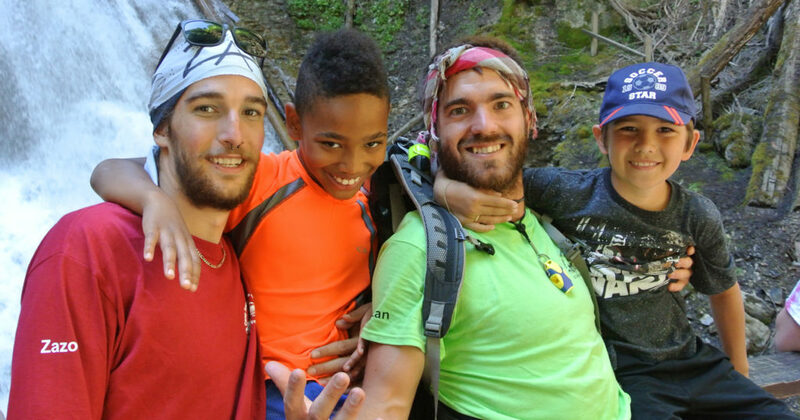 Programs are unique to each camp location and may be adjusted to suit weather conditions and the fitness level of the participants. Programs may be cancelled or blended due to insufficient registration numbers.